In 1832, Andrew Jackson ordered the withdrawal of federal government funds from the Bank of the United States, one of the steps that ultimately led to the Panic of 1837. The Panic of 1837 was a financial crisis that had damaging effects on the Ohio and national economies. Following the War of 1812, the United States government recognized the need for a national bank to regulate the printing of currency and the issuance of government bonds. Many in the U.S. public opposed the Bank of the United States, believing that it limited their ability to make land purchases and to pay off other debts. Jackson had opposed banks since the 1790s, when he lost a sizable amount of money when he invested his money in a bank. In 1832, Nicholas Biddle, the head of the Bank of the United States, asked to have the institution re-chartered. In 1816, the United States government had authorized the bank to operate for twenty years. Biddle, at the urging of Henry Clay, applied for re-chartering four years early. Congress agreed with the necessity for a national bank, but President Jackson vetoed the bill. His action, in essence, prevented the continued existence of the Bank of the United States after 1836. Jackson was not happy with waiting to 1836 for the Bank of the United States to end. In 1832, Jackson ordered the withdrawal of federal government funds, approximately ten million dollars, from the Bank of the United States. The president deposited these funds in state banks and privately-owned financial institutions known as "pet banks." Ohio had nine of these banks. Biddle tried to keep the national bank operational by calling in loans, yet many businesses did not have the funds available to pay off their debts. As a result of Biddle's actions, numerous businesses had to close their doors due to the lack of funds during 1833 and 1834. After this brief economic downturn, the United States' economy boomed. State banks began loaning money to industrialists and farmers. The banks also began printing exorbitant amounts of currency. This action led to high inflation. At the same time that banks were printing currency and loaning out large sums of money, foreign governments and businesses, hoping to benefit from the United States' burgeoning economy, loaned large sums of money to U.S. businessmen. As a result of all of these factors, high inflation resulted. Currency quickly depreciated. In July 1836, Jackson issued the Specie Circular. Under this act, the government would only accept gold or silver in payment for federal land. Foreign investors also did not want to accept U.S. currency as payment, and they began to call in their loans to U.S. businessmen before the currency depreciated further. U.S. citizens rushed the banks to withdraw the necessary funds to pay off their debts. Unfortunately, many banks had loaned out too much money and did not have sufficient reserves on hand to meet the demands of their customers. Approximately eight hundred banks closed their doors in 1837, stifling economic growth and bankrupting numerous businesses, including many of the banks. During the Panic of 1837, approximately ten percent of U.S. workers were unemployed at any one time. Mobs in New York City raided warehouses to secure food to eat. Prominent businessmen, like Arthur Tappan, lost everything. Churches and other charitable organizations established soup kitchens and breadlines. In Ohio, many people lost their entire life savings as banks closed. Stores refused to accept currency in payment of debts, as numerous banks printed unsecured (backed by neither gold nor silver) money. Some Ohioans printed their own money, hoping business owners would accept it. Thousands of workers lost their jobs, and many businesses reduced other workers' wages. It took until 1843 before the United States' economy truly began to recover. The federal government's failure to assist the U.S. public led voters to turn against the Democratic Party, the party in control of government at the start of the Panic of 1837. In 1840, voters elected William Henry Harrison, a member of the Whig Party and an Ohioan, over the Democratic candidate. McGrane, Reginald. 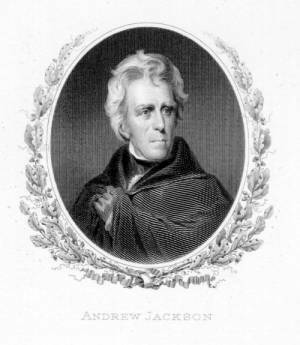 The Panic of 1837: Some Financial Problems of the Jacksonian Era. New York, NY: Russell & Russell, 1965. Sharp, James Roger. The Jacksonians Versus the Banks: Politics in the States After the Panic of 1837. New York, NY: Columbia University Press, 1970.